The 4th Generation Vauxhall Corsa has arrived at Underwoods in Essex and Suffolk, featuring a new and sporty look, with an exciting 1.0L three-cylinder ECOTEC direct-injection turbo engine, totally re-designed dashboard, sophisticated IntelliLink system and a great deal more besides. It replaces a model which was incredibly popular with the buyers, promoting exceptional sales thanks to buyers’ familiarity with its name, aesthetic and love of the Corsa’s compact dimensions and complete interior packaging. Need more information? Download and view the latest Vauxhall Corsa PDF brochure. The Vauxhall Corsa from £11,730 is available from your local Underwoods - Vauxhall Main Dealer in Colchester, Clacton & Tiptree in Essex or Sudbury in Suffolk. The Vauxhall Corsa has a new uniquely sculptured body and invitingly attractive look and draws you closer. The new Corsa displays artistry with sculptural contours that draw your eyes in alongside Vauxhall precision. A sport grille, flowing rooflines, precision headlights and powerful rear proportions make for an attractive machine. The Corsa’s sunroof opening is large with a wind deflector automatically keeping your fresh driving experience draft free, at just a touch of a button you can enjoy fresh air, sunshine or the nights sky. Whether open or closed, advanced aerodynamics and a special sealing prevent interior wind noise. There is also an integrated sunshade to minimise glare. The New Bi-Xenon headlights provide remarkable night vision, whilst manouvering we have integrated cornering lights with greater vision. Plus Vauxhall signature LED daytime running lights make sure you are seen and always looking good! Depending on the model you decide to choose, the Corsa offers brilliant wheel designs in 15” to 17” adding to your individual finishing touches, plus reduced un-sprung weight for an improved driving feel. Your wheels can say a lot about you. The Vauxhall Corsa is available in the following colours; Flaming Yellow, Flame Red, Emerald Green, Sovereign Silver, Carbon Flash, Summit White, Persian Blue, Royal Blue, Lime Green, Asteroid Grey and Peppermint Green. With Vauxhall Corsa has had a interior makeover, with classic chrono-style instruments, clear displays and perfectly positioned switches will put you intuitively in command of the new Corsa. Vauxhall have used exclusively crafted high-quality materials and stylish silver trim which will catches your eye throughout the interior. With its deep contoured, supportive seats makes you comfortable on short or long journeys. You may take your pick from a wide range of colours and patterns for both the seats and décor, creating your very own design for you Vauxhall Corsa. You can stay cool in the summer months with a choice between manual air conditioning or self-regulating electronic climate control, providing constant temperature comfort. By simply opening the door the energy saving red LEDs send a warming, soft warm glow of light into the lower Corsa cabin. Traffic Sign Assist - which will recognise and display speed limits from road signs alongside other traffic signs. Lane Departure Warning - this will audibly warn you when you attempt to leave your lane without indicating. Following Distance Indication - ensures you are kept informed of the avoidance time needed to the vehicle in front. Forward Collision Alert - senses when a frontal crash is imminent and warns you with a sound, a signal in the display and warning on the windscreen. High Beam Assist – detecting both oncoming and preceding traffic and will automatically switch your Bi-Xenon headlights between either high and low beam. Side Blind Spot Alert - senses vehicles driving in your blind-spot. When a car is sensed in this position and you initiate the indicator to change lanes, a warning light with flash in the right or left wing mirror. Keep warm in the colder months with the luxury of both heated seats and a heated steering wheel.. Plus, you don’t need the ice scraper or a cloth to rub away mist, the ThermaTec windscreen gently warms it away in an instance. This alongside a heated rear window and heated mirrors adds up to inner and outer clarity for the driver. Another superb safety feature! When driving in the busy city street, it is made easy with speed-dependent electric power steering designed to reduce your effort, whilst adding precision and saving fuel. Boost your assistance when parking or maneuvering at low speeds with the press of a button by using the City Mode. 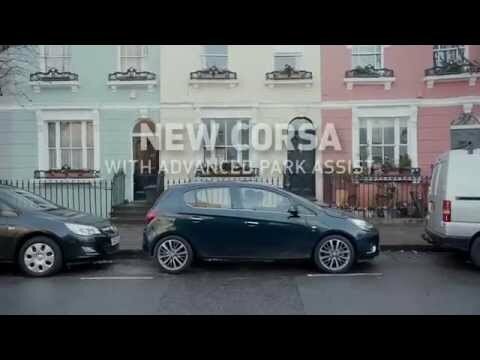 Advanced Park Assist is now available on the Vauxhall Corsa. The system will detect parking space and computes and performs the perfect manoeuvre. Its so easy, the system will direct you select either forward or reverse and all you do is operate the accelerator and brake pedal. The rear view camera will display on the 7” monitor. ESP®Plus Will help you stay firmly in control on slippery or slick roads with the Corsa’s electronic stability programme. Take the stress out of gradients with Hill Start Assist, stopping you from rolling backwards when you lift off the foot brake. The new Vauxhall Corsa comes with a first class 7” touch screen infotainment: connecting easily, speaking freely, steering wheel or voice control. You are able to receive hands-free phone operation or audio streaming and more via Bluetooth or USB. IntelliLink operates with either iOS or Android with Siri Eyes Free recognising your voice commands. Use them to play music, make calls and send or listen to text messages and e-mails. You can even download free apps via the Vauxhall IntelliLink system.  Receive instant, precision satellite navigation instructions via your smartphone with IntelliLink and the BringGo app. This very simple to use system will update with information about road traffic as well as informing you of points of interest on your journeys. It is always recommended to check which phones and functions (such as hands-free calling and music streaming) are compatible with your new vehicle’s infotainment system. The new Vauxhall Corsa engine range gives you the power of choice with a full Euro 6 range from 51 kW (70 hp) to 85 kW (115 hp). This new high power, low thirst three-cylinder 1.0 turbo engine range have redefined small car performance and smoothness. There are also two ecoFLEX versions, with the 1.0 turbo engine with 66 kW (90 hp) and the 1.3 CDTI engine with 70 kW (95 hp) maximizing fuel economy. Both new Corsa 1.0 turbo engines come with a new six-speed transmission, increasing fuel efficiency and providing a smooth driving experience filled with fun. Coming soon to the Corsa is the new automated gearbox Easytronic® 3.0, providing the comfort of an automatic with the overall economy of a manual. The start/stop system reduces fuel costs and helps cut pollution, found on both petrol and diesel engines. The Eco Drive Assist tells you when the optimum time is to shift up gear, the consumption statistics and current economy level. You will experience outstanding handling precision and comfort with the all-new suspension in the new Corsa. With a new front subframe and optimised rear-axle design, noise is significantly reduced, along with vibration and harshness. Further boosts dynamism with the optional sports chassis variant.